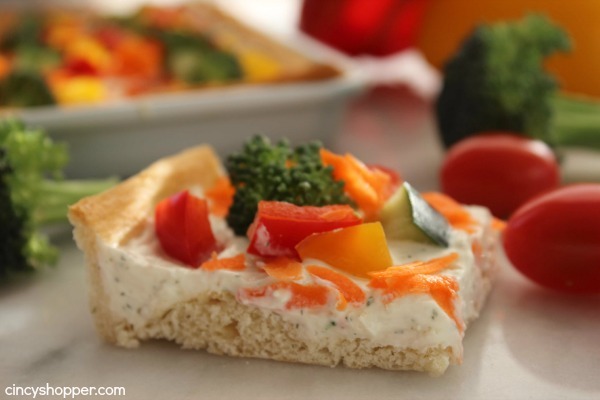 If you are looking to serve up a tasty vegetable packed appetizer, these Veggie Pizza Bites are going to be a winner! 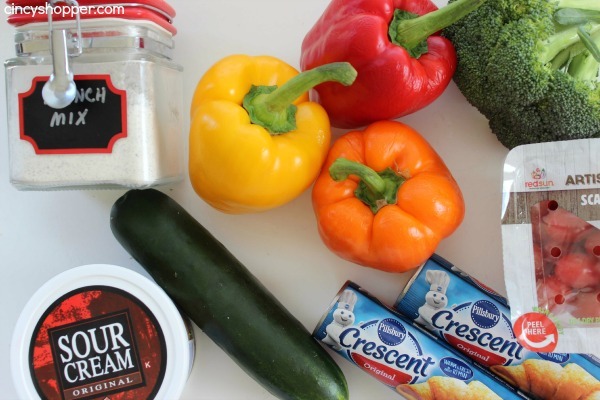 Super simple recipe that starts with Pillsbury Crescent Rolls, topped with a ranch dip mixture, then loaded with tons of veggies. 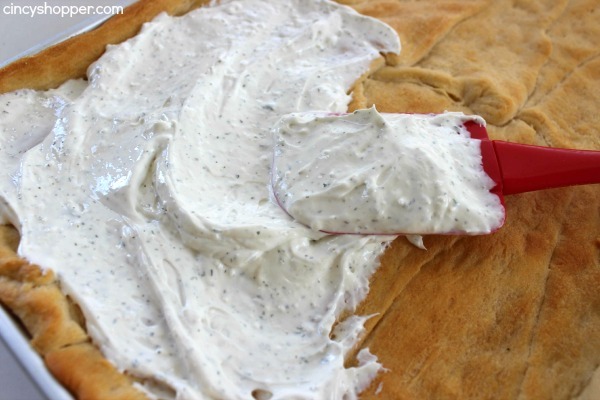 Handheld appetizer are perfect when you are serving up guests at bbqs or game day. No plates are needed. Just grab a piece and enjoy. 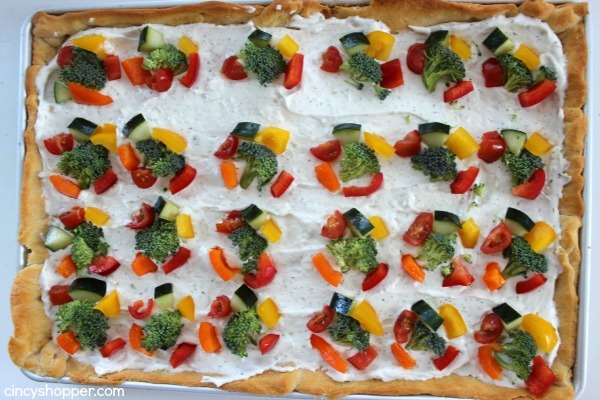 We are having a few friends over this evening so I just whipped up this super simple veggie pizza. This is not your ordinary pizza. 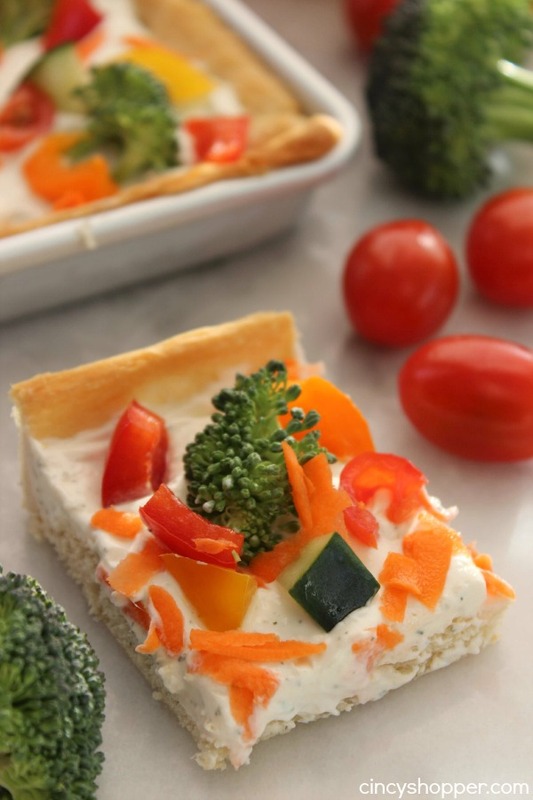 This pizza is loaded with a ranch dip mixture and topped with all sorts of yummy veggies. The only baking required is for the crust. 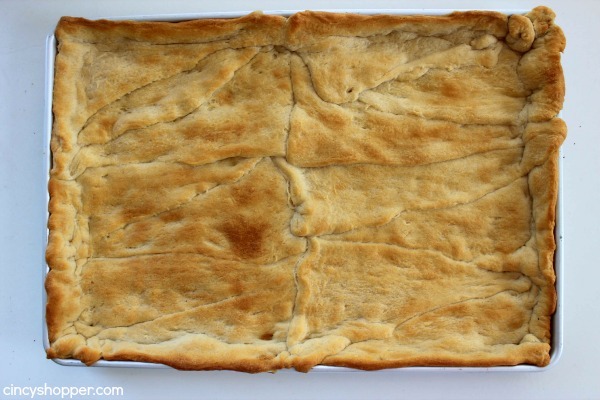 The crust is so super simple. We just used 2 cans of Pillsbury Crescents. 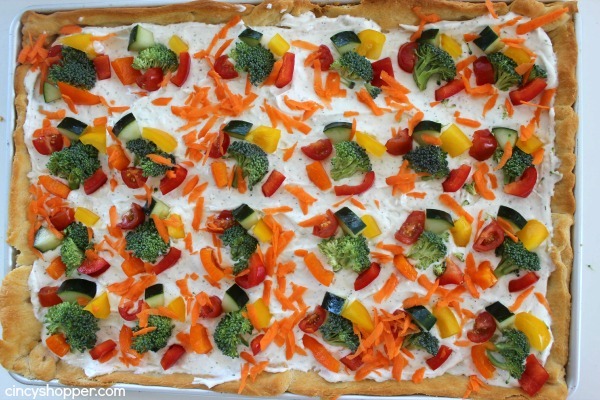 We find them on sale quite often so they make for an inexpensive crust to use with these Veggie Pizza Bites. 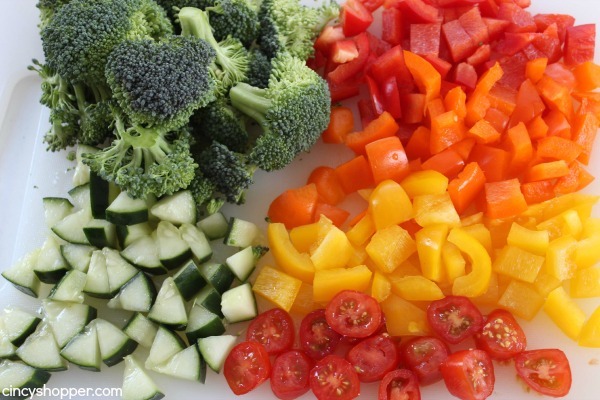 The sky is the limit on the veggies you can load on top. 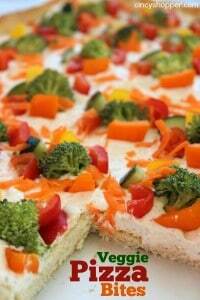 I used broccoli, cherry tomatoes, colorful peppers, cucumber and some carrot. I had all of the veggies in my veggie drawer so this worked perfect. 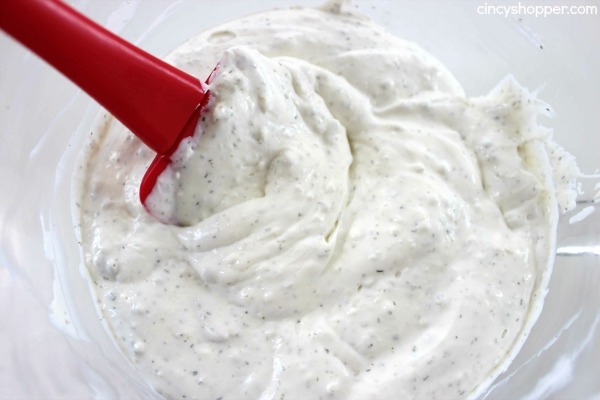 You can just add on your favorites or what you have on hand. 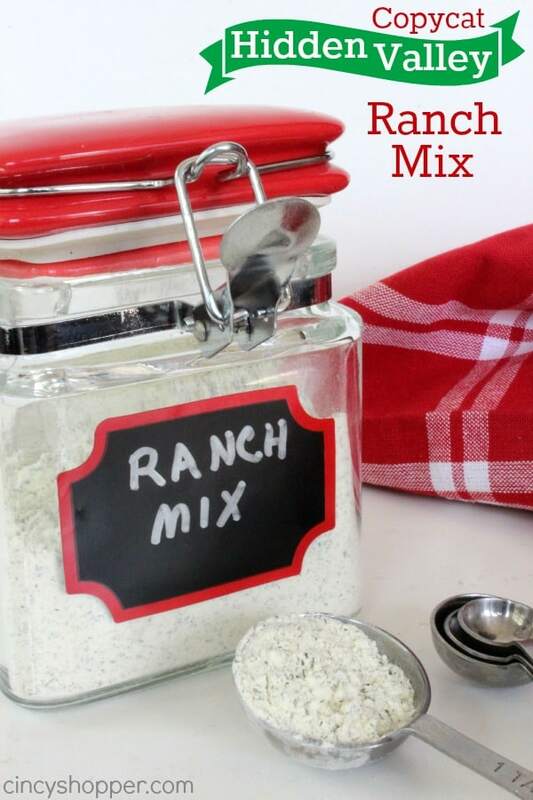 My kiddos love our CopyCat Hidden Valley Ranch Mix. We keep a container handy for them to have for veggie snacking. 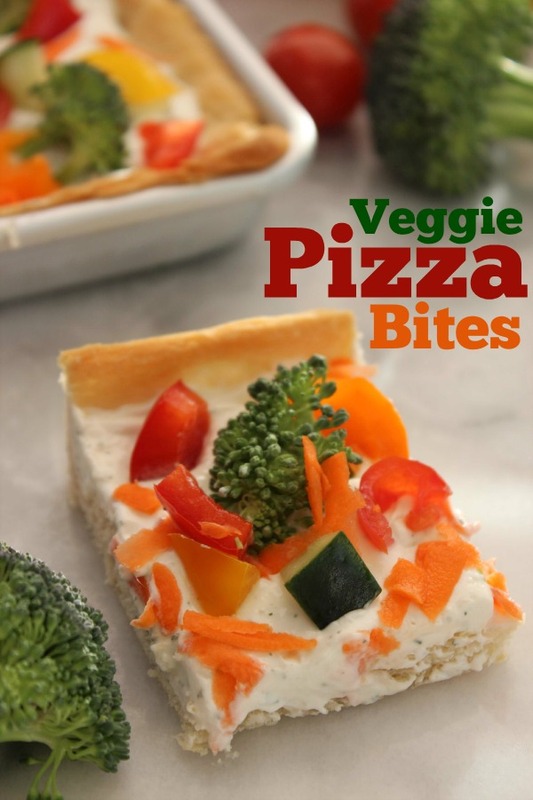 You can make your own mix or use the store bought packages to make your own Veggie Bites Pizza. 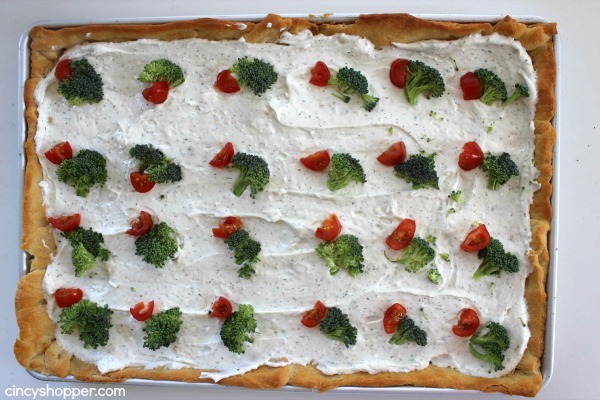 This pizza will be great to whip up for just about any entertaining or perfect for an after school snack too! 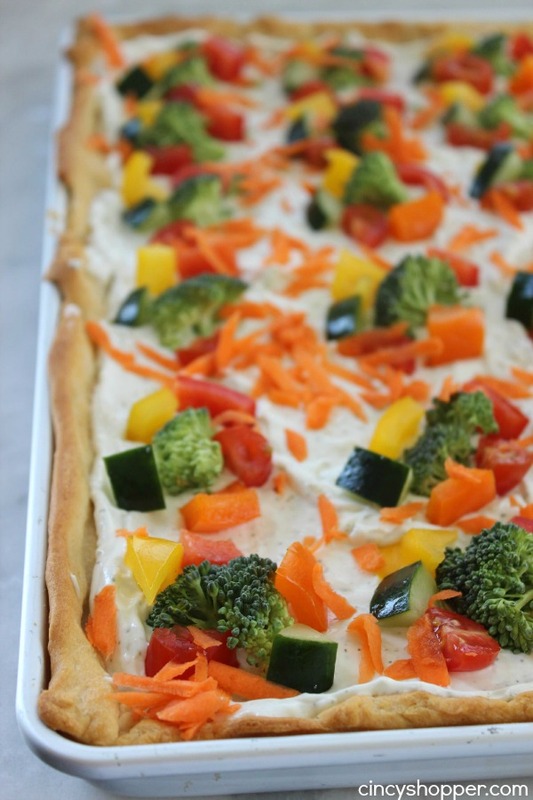 Since it is packed with veggies it is relatively healthy. 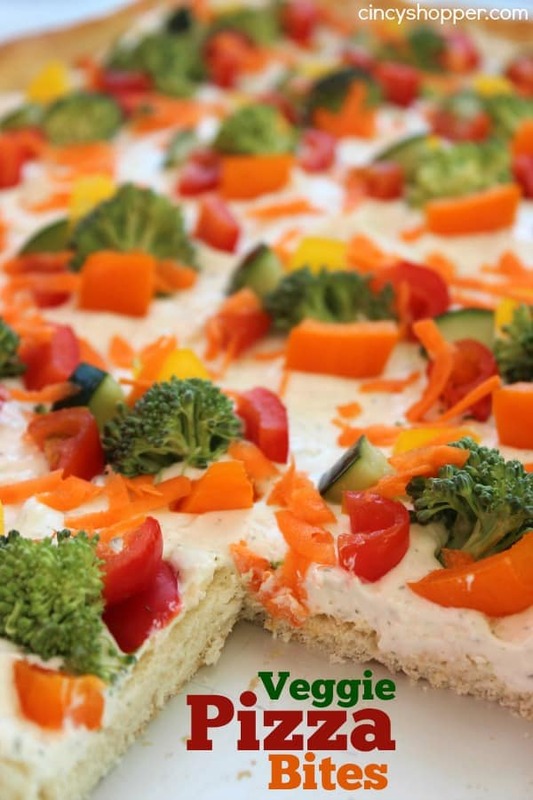 Grab some veggies, crescent dough, sour cream and cream cheese and you will have this Veggie Pizza appetizer ready in no time at all. 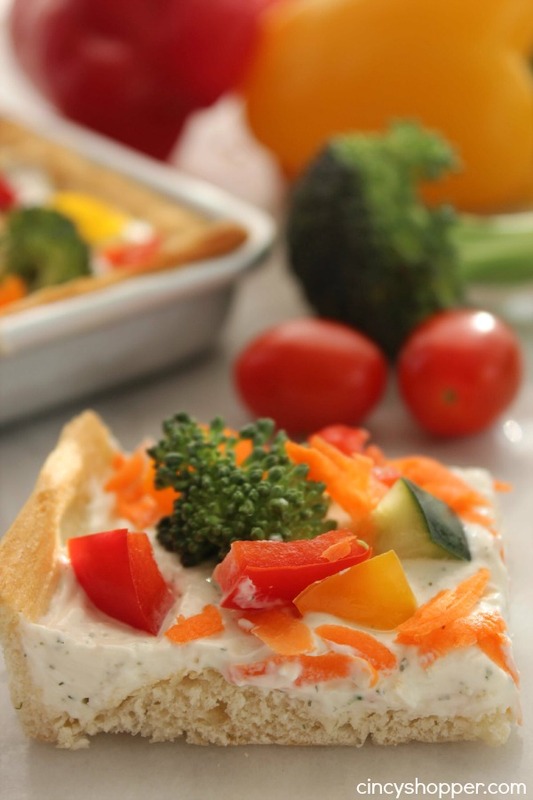 Do you normally serve up dips and veggies at your get togethers? We always do and I am loving this twist. 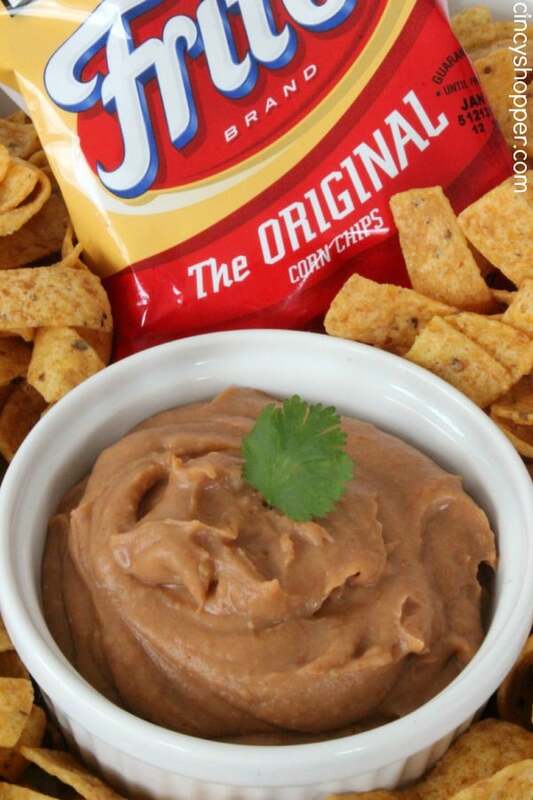 So much easier than spooning our dips on to plates. We are looking forward to serving this yumminess to our guests this evening. The weather is going to be great and the food will be too! 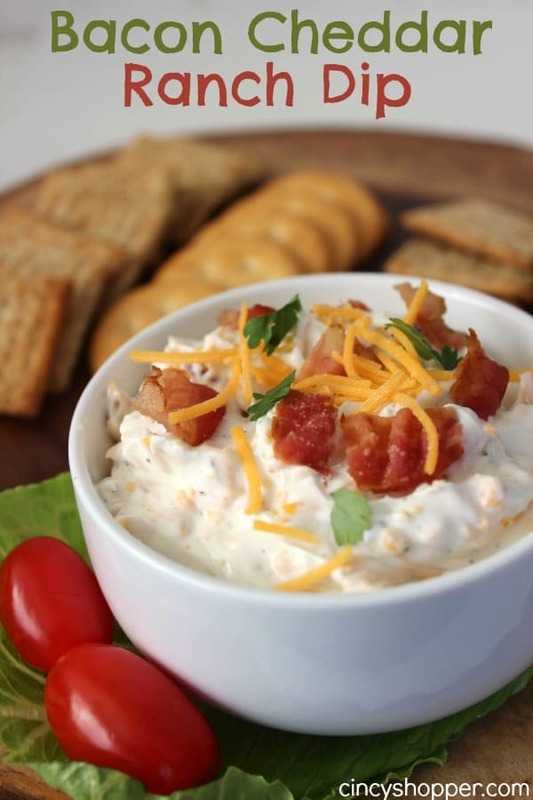 Be sure to check out these other great recipes I have shared with you..